Sherazade Donnafugata is a Nero d'Avola Sicilia DOC, proud of its brilliant scarlet livery, vinified from 100% Nero d'Avola grapes. Its olfactory presence offers an ample fruity bouquet where strawberry, cherry and black cherry especially stand out. These tones are confirmed on the palate, but enhanced by a pleasurable freshness and subtly tactful tannins. 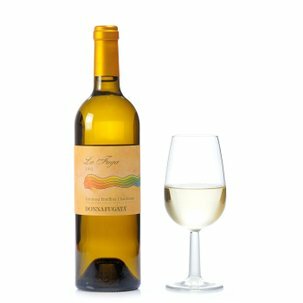 An outstanding aperitif, this wine also goes exceptionally well with tomato sauce dishes, fish, cured meats and cheese. It can also shine surprisingly in the company of quality pizzas. Ingredients Enthält Sulfite For more information on product labels, please contact our Customer Service department. The information on the labels of the products may vary for reasons beyond our control, therefore, there may be discrepancies between the information on the site and that on the products delivered. Please always check the information on the product before consumption or use. 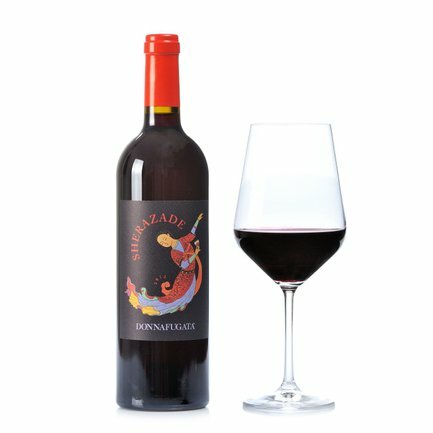 The Donnafugata wine label was founded in 1983 in Marsala, Sicily, based in the ancient wine cellars of the Rallo family and vineyards in the Contessa Entellina area. Since 1989 the company also produces natural sweet wines on the island of Pantelleria. Giacomo Rallo, the company's founder, has gradually carried out a project that is not only productive but also and above all cultural, aimed at enhancing and promoting Sicily's territorial identity through the unique quality of its wines. The Donnafugata label's distinctive traits are attention to detail and passionate dedication to serving nature in order to gather and express its unlimited gifts at their best. And Donnafugata wines succeed, expressing Sicily's natural fragrances and tastes at their very best.